You could probably call me a food hoarder. You see, I find myself on websites like iHerb where there's all these delicious foods calling my name so I buy them and then I sometimes forget about them. Or I buy more than Jesse and I can consume. Like the three jars of my favourite almond butter. We got through jars one and two at lightning speed but I'd forgotten there was a third jar hiding away in my baking box (where said overflow of ingredients lives as our pantry is full) until just before the use by date. I knew I needed to use it up but I wanted to use it up in a deeeeeeeelicious way - so I came up with these muffins. One of my favourite things to combine with almond butter are dates because they're seriously a match made in heaven. 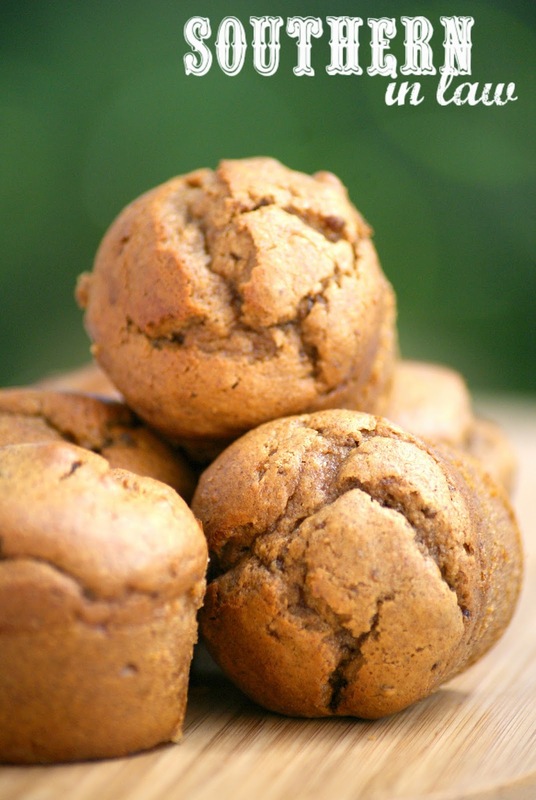 I knew I wanted to create something that combined them both and when I got to thinking about what I was going to make, I decided to keep it super simple and go for flourless almond butter and date muffins with just five ingredients. You really can't get any simpler than that, can you?! Jesse was skeptical but he was soon calling these muffins the best ever and snatching muffin after muffin from the container on the kitchen bench - and it wasn't just Jesse who loved them. The entire SIL family was hooked and the batch disappeared before our eyes.... or should that be bellies? Nevertheless, I've now made these muffins at least a dozen times and they're so good that we now buy extra almond butter just so we can make them! optional: add in some chocolate chips, cinnamon or your favourite spices, nut pieces for added crunch etc. Grease and/or line your mini muffin tins or regular muffin tins and set aside. Alternatively, you can also make this in an 8" square or round tin. In a food processor, process your dates until they form a clump and all of the big chunks have broken up. Add in your almond butter, applesauce, eggs and vanilla and process until all ingredients are combined - scraping down the sides as needed to incorporate everything. Pour your mixture into your prepared tin(s) and bake for 15-25 minutes for mini muffins, 25-30 minutes for larger muffins or 40-50 minutes for a cake, depending on the thickness of your chosen baked goods. Be sure to keep an eye on them and take them out of the oven once they are cooked through and a skewer inserted into the centre removes clean. Allow to cool before removing from tins. Store in an airtight container either in the fridge or at room temperature for 3-4 days or freeze in a sealed airtight bag where the muffins will keep for months. *If you don't have or like dates, feel free to use raisins instead as they work perfectly in this recipe! 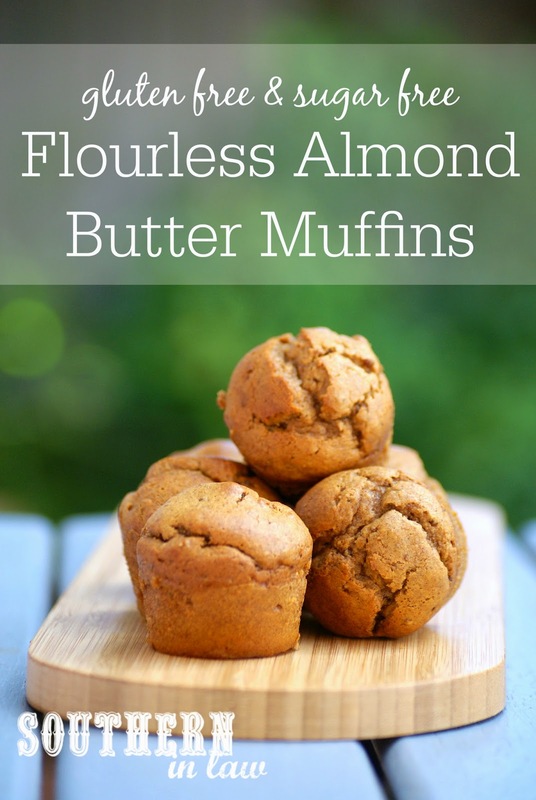 **Instead of almond butter, we've tried this recipe with all types of nut/seed butters and each worked perfectly - peanut, cashew, sunflower seed etc - just don't switch coconut butter or regular butter for almond butter because that won't work. We also make this in our Cuisine Companion, first processing the dates on Speed 12 using the Ultra blade for 1 1/2 minutes and then adding all of the other ingredients and mixing on Speed 8 until combined, scraping down the sides as needed to incorporate everything. But tell me, are you a food hoarder too at times - or do you simply buy only what you need at the time? Oh my goodness, these look amazing. 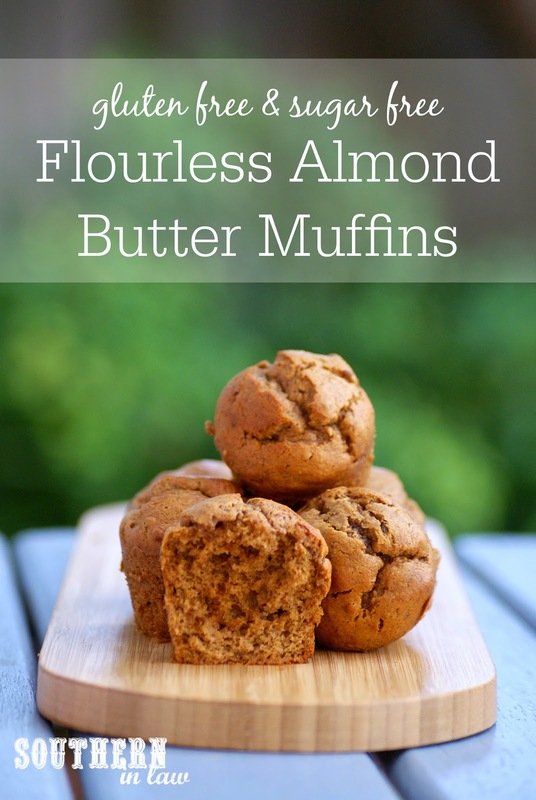 Sooo light and fluffy, and I just love almond butter!